A stunning 9ct yellow gold diamond and black sapphire ring. A great gift for a loved one. Sapphire is the birthstone for September. 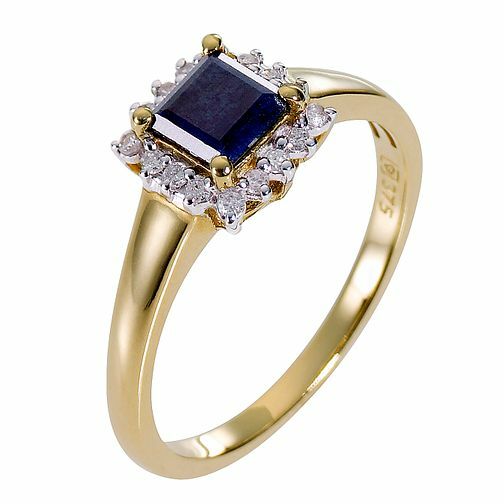 9ct Yellow Gold Diamond & Sapphire Ring is rated 5.0 out of 5 by 5. Rated 5 out of 5 by Anonymous from Beautiful This is my engagement ring, its unusual and dainty. It was the only choice for me. I love it. Rated 5 out of 5 by Anonymous from Beautitul ring! This ring is just beautiful and so unusual. I really recommend it to anyone.